The 100 kilometers trek from Parvati valley in Kullu to our village, Mudh in Pin valley, is one of the most popular trek in Himachal Pradesh among experienced trekkers. The nine day trek goes through steep ascends, river crossing, and high passes with heavy snow falls which can happen throughout the year. 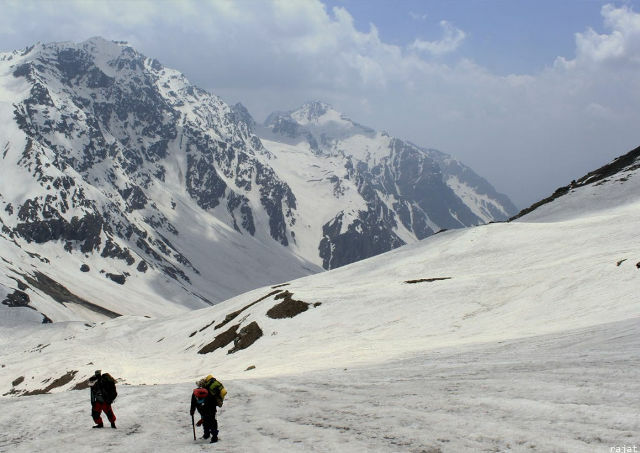 This trans-Himalayan trek is the shortest route between the Kullu and Spiti Valley. It was first crossed in August 1884 by Sir Louis Dane in search of an alternate route to the Spiti valley. Often referred to as the most challenging trek in the Indian Himalaya, the trek is full of adventure and thrills. 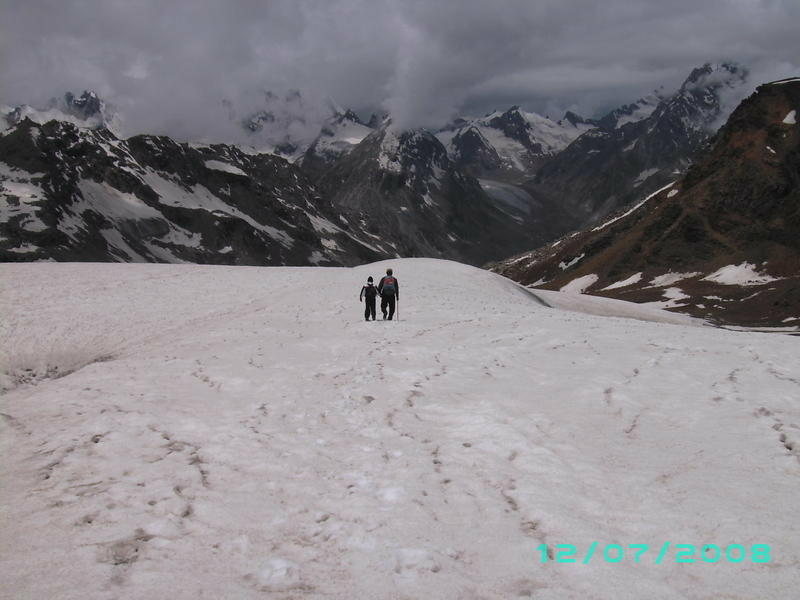 It is a long expedition compared to other treks in the area like Pin Bhaba pass trek. The sheer beauty and adventure of the trek gives a sense of achievement to the trekker. The sharp contrast in landscape - from lush Parvati valley to dry mountain desert region of Spiti - is a unique experience. 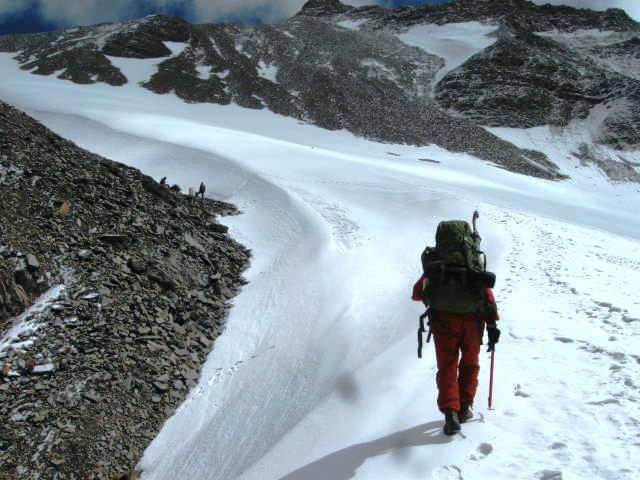 This trek needs very high level of fitness and some experience in high altitude treks. We, at Spiti Tara Adventure have tons of experience in this amazing mountain pass. We have took almost 100 group from the time we have started organized treks about 10 years ago. We offer full support including food, camping, porters, horses/donkeys and even medical supplies like bottled oxygen cylinders which will be tremandous helpful during the trek. One Manali – Manikaran – Pulga After a leisurely breakfast we drive to Manikaran with beautiful view of Kullu valley. After two hours drive we reached in Manikaran which is the starting point of the trek. Spend few moments to explore the pilgrim town with its boiling hot spring. 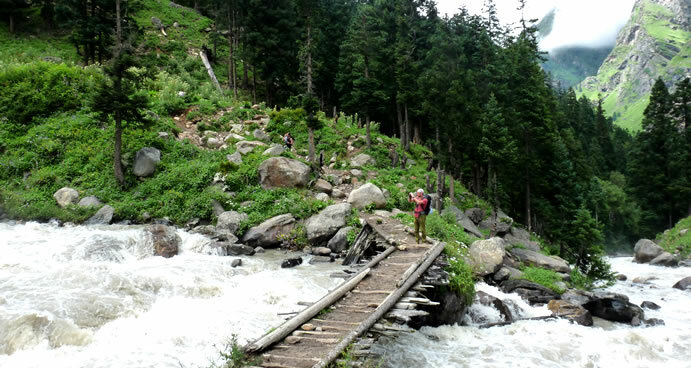 We start the trek following the left bank of Parvati River. We set camp near the field. Two Pulga – Khirganga The trail ascends though forests and after passing a cliff we emerge into a large meadow with a small temple beside a milky white hot spring. We set up camp here for the night. Three Khirganga – Tunda Bhuj The trail continues to climb uphill through a dense forest with an undergrowth of wild flowers. Emerging into a meadow again, we set up camp near a cascading waterfall and a boisterous stream. Four Tunda Bhuj – Pandu Pal The trail now slowly enters a landscape of rock and moraine ascending above the tree line. Panoramic views of the surrounding hills can be had all along the trail till we reach the natural rock bridge at Pandu Pul – translated as the ‘Bridge of the Panadavas’. We set up camp near the Parvati River and close to a shepherd’s shelter. Five Pandu Pul – Mantalai Leaving early we cross the mammoth Pandu Pul rock bridge over the River Parvati and having crossed enter a wide valley further up the trail. A few stream crossings later we walk on a moraine field till we reach the tranquil and breathtaking Mantalai Lake. 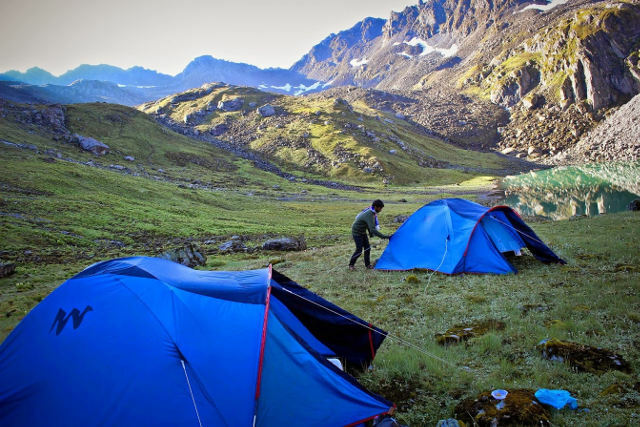 We camp on the lakeshore with excellent views of a barren, stark mountain panorama. Six Mantalai – Base – Pin Parvati Pass The trail now goes up a steep snow gully affording spectacular views of snow-clad mountains, tiny lakes and massive glaciers all around. 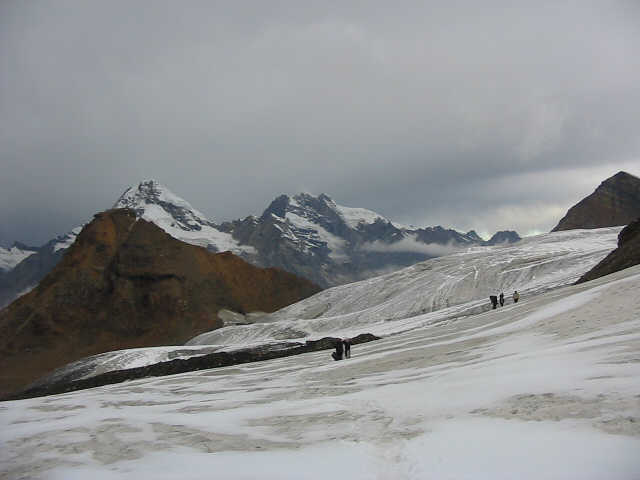 Continue on moraine and patches of snow to the base of the Pin Parvati Pass and camp. We leave camp early as the snow on the trail makes for slow walking. The climb is not that steep and we reach the pass by afternoon. There are absolutely grand views of the Pir Panjal and Spiti and Pin valley mountain ranges from here. We descend to a grassy plain with numerous crisscrossing streams. Camp a little ahead. Set up camp. Eight Base camp – Chinpatta Maiden The trail goes over scree and moraine and we cross a number of small streams to finally reach a meadow where we set up camp. Nine Chinpatta – Maidan – Mud Today is last day trek. The trail today enters a wide-open valley with numerous streams and leads into the ancient Mud village in the Pin valley of Spiti. We camp high above the Pin River near some fields. Ten Mud – Kungri – Tabo After the breakfast we visit down to Pin valley which is known the land of Ibex and snow leopard. Also visit the famous monastery of Kungri and continues drive toward toTabo. Check the hotel and Visit the ancient Monastery of Tabo . Explore the Monastery and later come back to hotel. Eleven Tabo – Dhakhar – Kaza Early morning breakfast we leave for Dhakhar monastery. The monastery, ones was a fort, in a local dialect mean a fort here onces lived nono the ruler of Spiti. After explore the monastery we drive to Kaza. Overnight hotel in Kaza. Twelve Tabo – Dhakhar – Kaza Visit to the Ki monastery high above the Spiti River basin. Explore the Monastery and then head north to Kibber known as the highest inhabited village in the world. Enjoy the views of extensive pastureland and distant mountains before heading back to Kaza. Thirteen Kaza – Manali We leave Kaza in the morning after breakfast and drive through the western Spiti landscape across the Kunzum La and the Rohtang Pass before descending into the fertile. Fruit rich Kullu valley to the hill resort town of Manali.